We are living in a world that only has a place for strong characters with the skills to lead and work within a team at the same time. And we cannot go against the wave. Teamwork and team spirit are more important than ever before. Still, we can change, we can grow our skills to be enable ourselves to face all challenges effectively by arming ourselves with the correct skills, such as leadership, delegation, coaching, mentoring and teamwork skills. These skills when grouped together can pave your way to the top. Whether you are an employee at an organization working on improving your work within a team, or hoping to start your own business and looking into leading your team towards success, this specialization will help you gain the collective knowledge needed to take your management skills to the next level! learn about effective delegation and develop your coaching & mentoring skills to enhance the competencies of the workforce & increase productivity. This course hopes to teach the learner teamwork skills and how to interact with others in the work place, serving the team and the organization in general. The importance of delegation as a management skill and the correct way to do it. Dental Surgeon by profession, Mindset Surgeon by passion. Suhail leads learning & development at Better Business in Amman Jordan. Motivated, personable executive coach and business facilitator, he is accustomed to handling difficult senior management cases through coaching and business counseling. 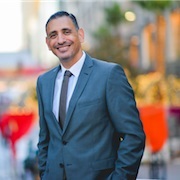 He has organized thousands of workshops and trained more than 25,000 people from over 40 countries around the world mainly in the Middle East and GCC in English, Arabic (KSA, UAE, Cyprus, Lebanon, Syria, Jordan, Bahrain, Qatar, Istanbul) and in French for the French speaking North West Africa; Senegal, Tunisia, Algeria and Morocco. Currently, Dr. Suhail is sought after internationally for speaking engagements. 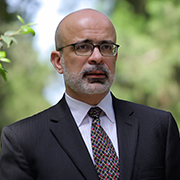 Dr. Sidani is Professor of Leadership and Business Ethics in the Suliman S. Olayan School of Business at the American University of Beirut. He has a PhD in management (organizational behavior and leadership) from the University of Mississippi, and a Master of Business Administration (MBA) from Indiana University. He also works as a consultant and trainer in subjects relating to self-development, leadership, and organizational behavior. Dr. Sidani’s research focuses on work and business ethics in addition to managerial behavior with special focus on Arab environments. He has dozens of scholarly articles in refereed academic journals in addition to contributions to conferences and books in both Arabic and English language. Abeer Founded Better Business in 2003 with the aim of creating cultures of excellence and development for Corporations and Organizations with the objective of developing their Human Resources. Today she continues to run Better Business as the leading firm for human capital development and has founded two new ventures which include Experdice; an online platform for human capital development serving the Middle East and GCC Market and The Escape Hunt Experience Jordan; a global franchise offering unique “escape the room” adventures to the public and corporate clients for team building and learning purposes. As an entrepreneur, a motivational speaker and a member of many influential boards, she believes in transformation, always working on influencing corporate cultures by providing them with life changing learning experiences delivered through capable experts leading to remarkable results. Her main fields of expertise include Organizational Development & Transformation, Culture Development and Mindset. She focuses her philanthropic work on aiding women and youth to become business leaders in different industries.